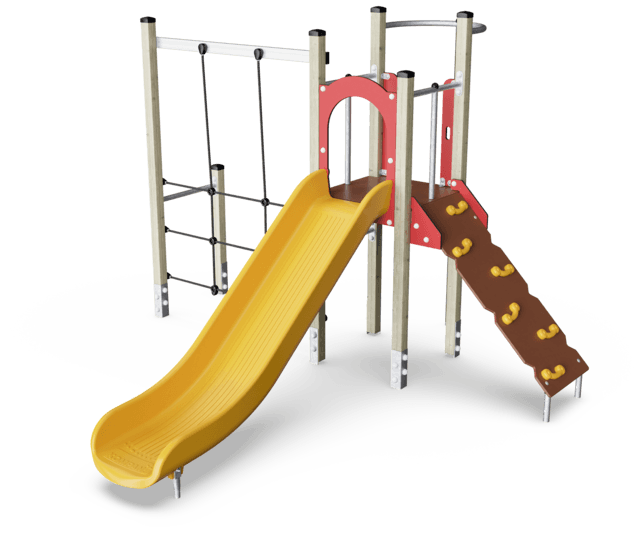 This condensed play unit offers varied and challenging climbing, sliding and somersaulting for older toddlers and preschoolers. 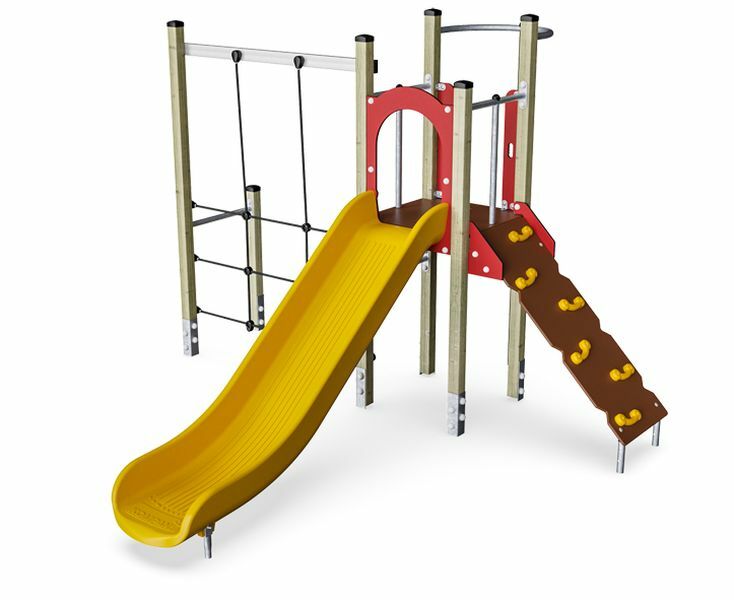 A steep climbing wall leads the child to the platform from which either a dare-devil fireman’s pole, mainly to the older or the age group, or a stomach tickling slide, takes the child back to the ground level. 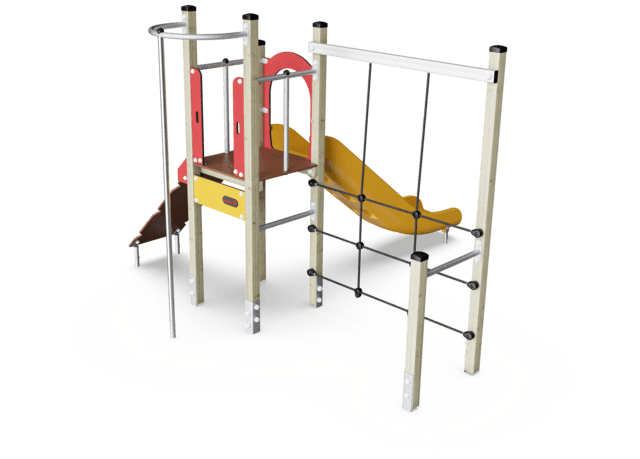 From the platform, the child can take a climb onto the big net, which invites climbing up, down, across and through, perhaps with a friend. The horizontal rungs offer nice points to sit.